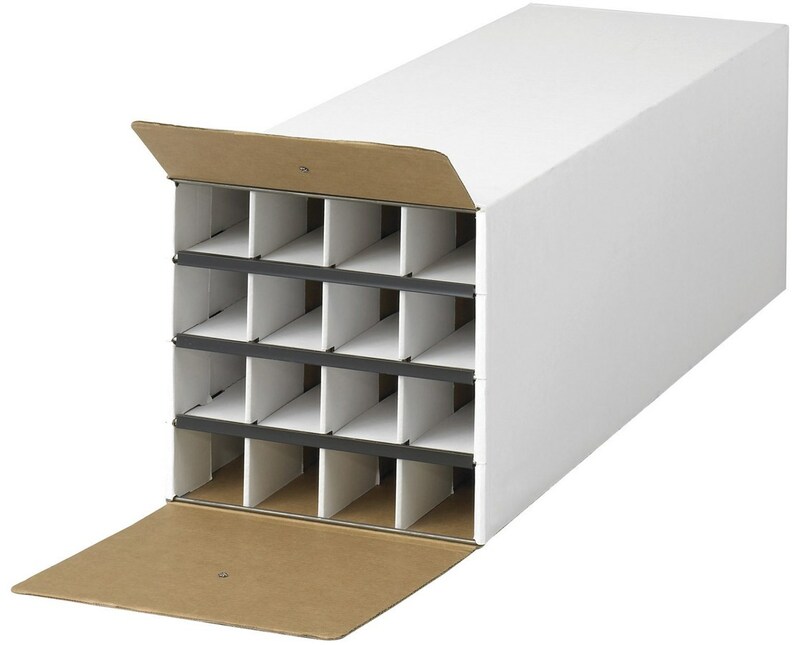 The Safco Compact KD Roll File provides a lot of convenient storage in a small space. 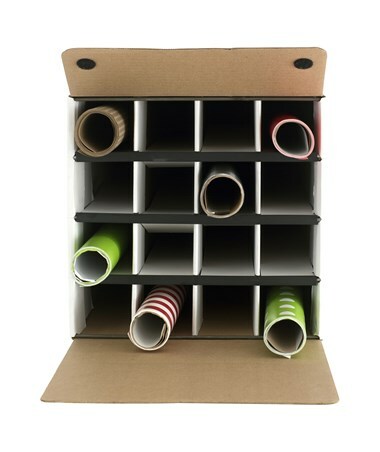 It is a 16-compartment storage file which allows rolls with three inches in diameter. It measures 12 ¾"W x 37"D x 12 ½"H which saves numerous files yet uses less space. 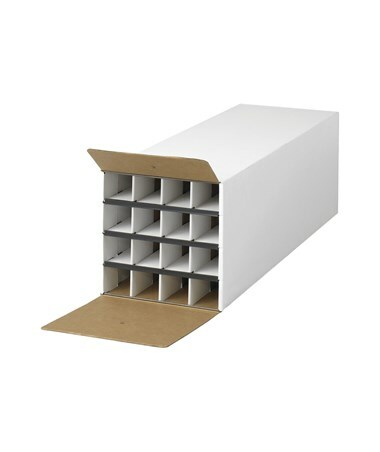 This engineering storage is constructed of white corrugated fiberboard which is durable and long lasting. 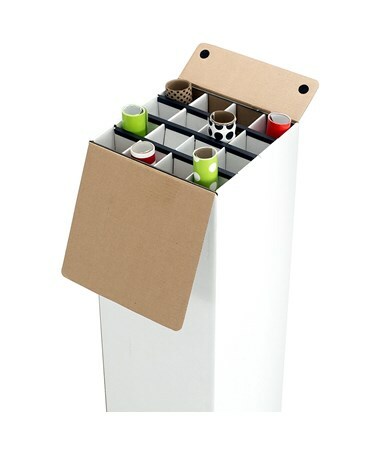 In addition, it is BIFMA rated and requires assembly.